These flocked tipped eye makeup applicators are not only great for applying your eye shadow, they’re perfect for use with eyelash extensions to clean along the lash line. 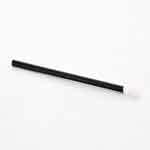 Its shaped tip means you can get very close to the lash line, ideal for cleaning off eyeliner. 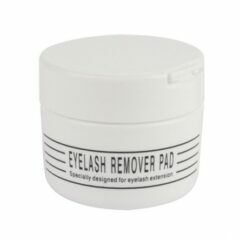 Its also great for cleaning off waterproof mascara, just soak the tip in water and then gently run it alone the ends of the lashes. It cleans without leaving the fine fibres you often get with cotton buds. Comes in packs of 50.